Novak Djokovic reached the last 16 of the French Open with a 6-2 6-3 6-3 win over Aljaz Bedene. 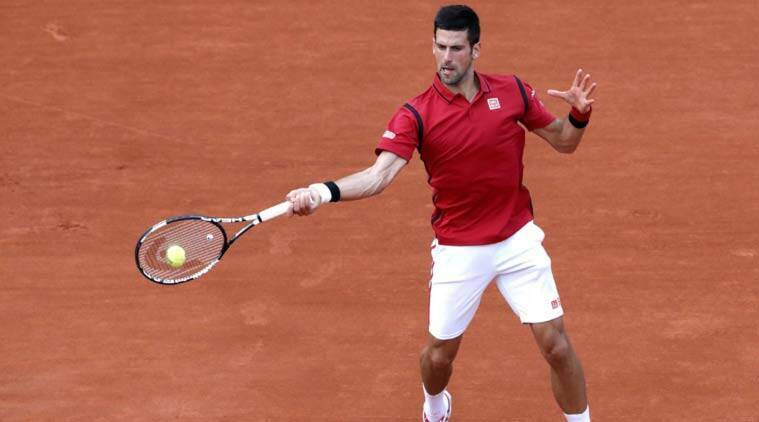 Novak Djokovic won his race against the clock, performing in a “night show” as he beat Briton Aljaz Bedene 6-2 6-3 6-3 to reach the French Open last 16 on Saturday. After rain cut two-and-a-half hours from the day at Roland Garros, the world number one did not even get on court until 7:25pm local time and had a small window of opportunity to ensure he got a day off on Sunday. “I played very well, 6-2, 5-1, 30-Love, and a couple of long games where I didn’t use my opportunities. But I closed out two sets pretty well. Started the third great,” Djokovic, beaten in the final last year, told a news conference. “Then the night show started, you know. I dropped my serve, the games were very long, (umpire) Pascal (Maria) was on fire. “He says he can’t do it but I take full responsibility,” Djokovic said in front of an amused crowd. “It was getting dark. I just hope that, you know, soon that Roland Garros will at least have lights, at least on the centre court and Suzanne Lenglen,” he said. “It’s not good for anybody, waiting the whole day for players, for fans, for tournament organisers,” said Djokovic. 2 IPL 2016 Final: RCB or SRH, who will be the first time winner?